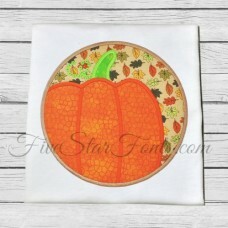 This is a terrific design for Fall stitching. Put it on towels, clothing, totes, etc. 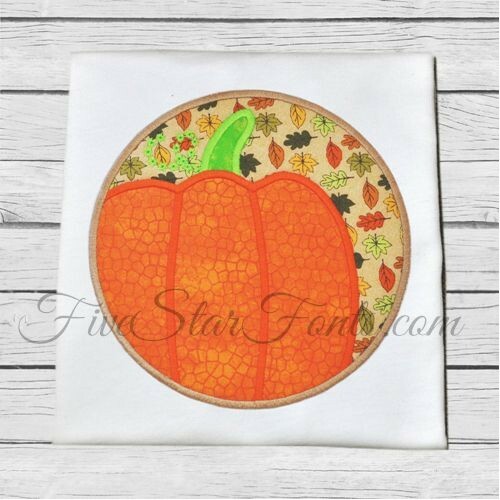 You receive 2 different design styles in this set - one features a single piece of fabric for the pumpkin (shown above) PLUS you receive the pumpkin digitized so you can make it with 3 different fabrics (not shown). Both designs come in all 5 sizes - 10 total designs in the set!